倪莎, 郭绮璇, 汪玲, 欧阳玲, 周欣. 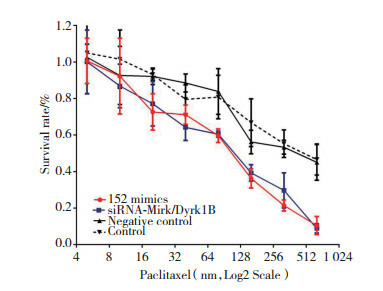 miR-152靶向Mirk/Dyrk1B调控人卵巢癌干细胞紫杉醇敏感性的研究[J]. 中国医科大学学报, 2018, 47(6): 481-485, 489. NI Sha, GUO Qixuan, WANG Ling, OUYANG Ling, ZHOU Xin. 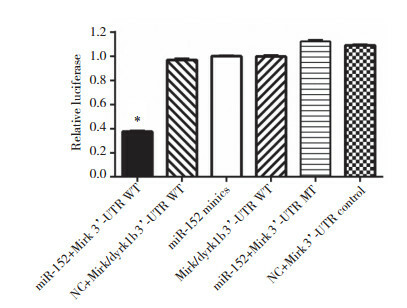 miR-152 Regulates the Sensitivity of Human Ovarian Cancer Stem Cells to Paclitaxel by Targeting Mirk/Dyrk1B[J]. 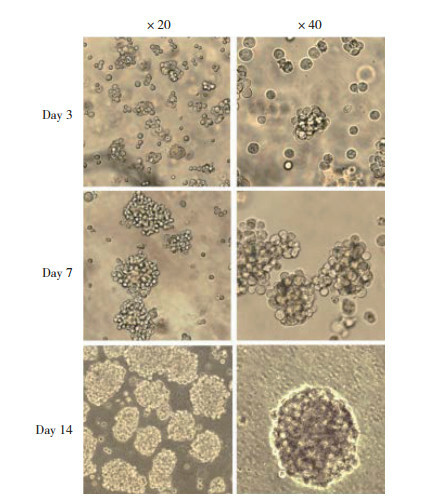 Journal of China Medical University, 2018, 47(6): 481-485, 489. ZHANG YJ, LIU XC, DU J, et al. 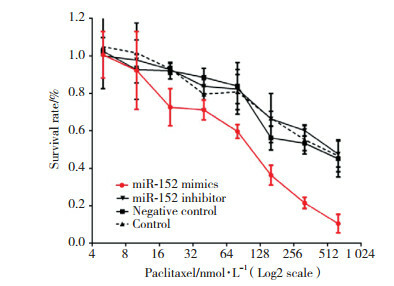 miR-152 regulates metastases of non-small cell lung cancer cells by targeting neuropilin-1[J]. 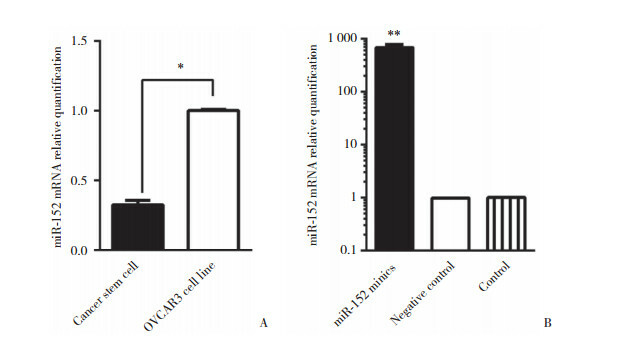 Int J Clin Exp Pathol, 2015, 8(11): 14235-14240.